His grace has given us the advantage. God promised his words before the world began and now, he has fulfilled the promise in Christ Jesus and that is why the Bible says, he has given us eternal life. God expects us to live this life in the now of our lives. The church needs to understand and walk in it. We should not miss God’s timing. Everything is pointing to the fact that Jesus should come back soon. It is not enough to believe these things. You know it! The Bible does not tell us to believe that we have eternal life. We don’t believe that the Holy Spirit is here with us, we know it. 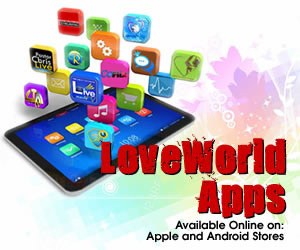 Your life here in this earth will determine the life you will live in the coming age. God wants us to practice living in His word and walking in his life and glory now. He gives us the opportunity to express our faith in his word and practice and live the word everyday. It is exciting to do this. It’s your natural environment if you are born again. Selfish ambitions lure men into evil things. Some will kill Christians and they will believe that they are doing what God told them to do. God is not the author of confusion. There are many types of mistakes that people make. Some make king size mistakes. But God’s words inside you will help you make the right decisions in life. Nations have gone to war because someone made a mistake. Lives had been lost because someone made a mistake. The destinies of families and children have gone the wrong way because someone made a mistake. A lot of times they didn’t know they were making a mistake because they did not listen to God’s words. The ending of the year and the beginning of the year are periods of serious demonic manifestations and operations hence, most people are misled. People take decisions at these times because their flesh talked to them and at such times, they cannot be corrected or be given to the counsel of the Holy Spirit. Because they have given themselves to strongholds. Sometimes, they were not even aware of their actions. Pray in the spirit and study the scriptures. Diligently study the word. Don’t remove the landmarks which the Fathers have set. Proverbs 22:28 (KJV) Remove not the ancient landmark, which thy fathers have set. Some families are cultureless! No training. Then they think they have liberty. But that is not liberty but trouble. Jesus was brought up in Nazareth! Luke 4:16 (KJV) And he came to Nazareth, where he had been brought up: and, as his custom was, he went into the synagogue on the sabbath day, and stood up for to read. We have to be very careful in our lives. The Spirit of God leads us. God did not lead us into individual prophecy that can mislead other people. Prophecies have to be judged. Even the interpretation as well. 2 Peter 1:20 (KJV) Knowing this first, that no prophecy of the scripture is of any private interpretation. The Lord will not come until many fall away! As we win souls around the world, all kinds of people come into the church and some even get to leadership. But how do you know the ones that are true? They will show up in their behavior as they grow either as a goat or as a sheep. Goats are very stubborn and do not follow the leader and are always resistant. Some of the biggest troubles in the church are caused by those who do not say much. So many people esteem them and may believe when they seem to prophecy. Psalms 119:133 (KJV) Order my steps in thy word: and let not any iniquity have dominion over me. 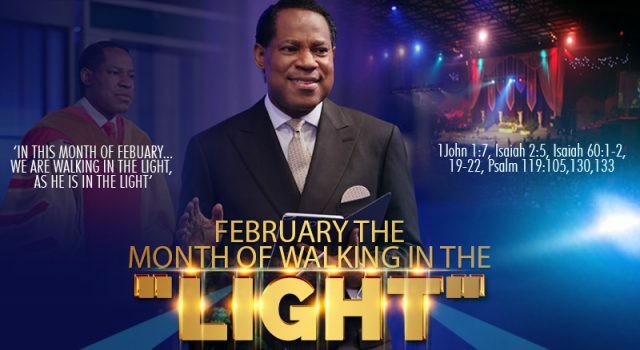 Welcome to the month of WALKING IN THE LIGHT AS HE IS IN THE LIGHT. When his words comes, light comes. Truth produces light. Isaiah 60:1 (KJV) Arise, shine; for thy light is come, and the glory of the Lord is risen upon thee. SAY THIS : I have light about my work, health, my finances, my businesses. Isaiah 60:2 (KJV) For, behold, the darkness shall cover the earth, and gross darkness the people: but the Lord shall arise upon thee, and his glory shall be seen upon thee. Light has come now for every area of your light that needs the light. Every area where you thought you were weak, light has come now. Isaiah 60:19 (KJV) The sun shall be no more thy light by day; neither for brightness shall the moon give light unto thee: but the Lord shall be unto thee an everlasting light, and thy God thy glory. We will no longer be walking by our senses anymore! Hallelujahhhh!!! The word of God is unfailingly! Isaiah 60:19 (AMPC) The sun shall no more be your light by day, nor for brightness shall the moon give light to you, but the Lord shall be to you an everlasting light, and your God your glory and your beauty. 21 Thy people also shall be all righteous:they shall inherit the land for ever, the branch of my planting, the work of my hands, that I may be glorified. This excerpt is from February Communion Service with Pastor Chris. I’m so happy to be able to learn and continue learning the Word of God from You loving Pastor. Be always blessed for ever more. Please could you correct the title in the video as we are in 2019 but not in 2018? Thanks and God bless you!!! Glory to God forever. I walk in the light as He is in the light.. thank you Pastor Sir.